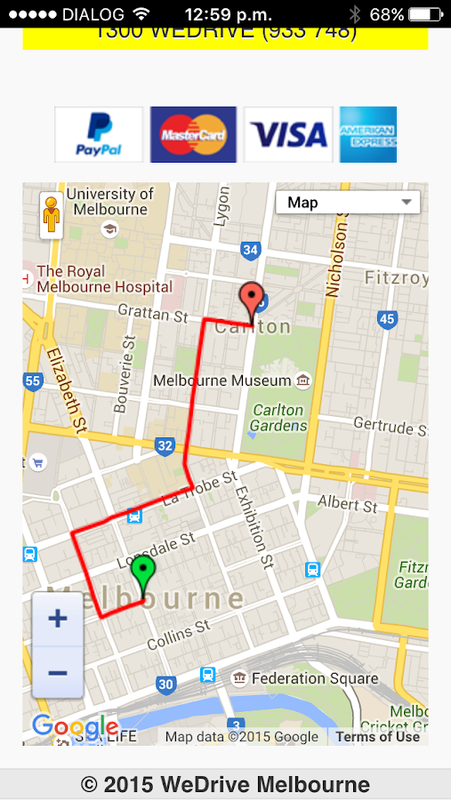 We Drive Melbourne is a free App enablesregistered users to obtain estimates, book and pay for designateddriver services in Melbourne, Victoria. 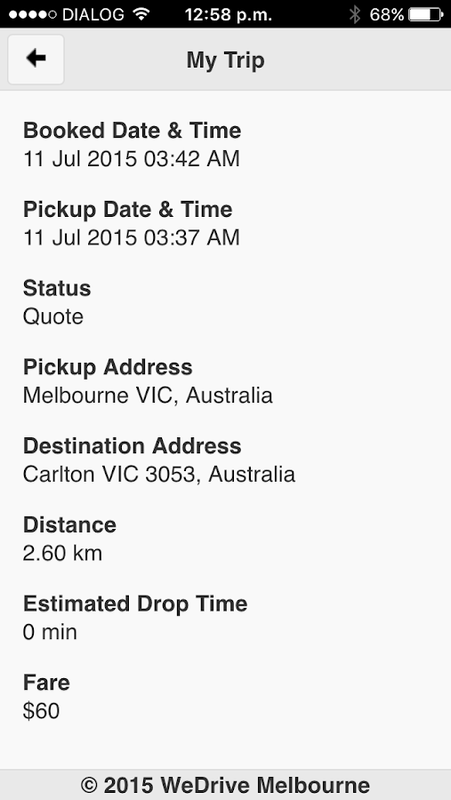 For service bookings clients must register with We DriveMelbourne Pty Ltd., by verifying their mobile phone number andproviding a valid payment method. The service is cashless, andnominated card/ account will be charged for the fare. For support, please call We Drive Melbourne on 1300 933 748. 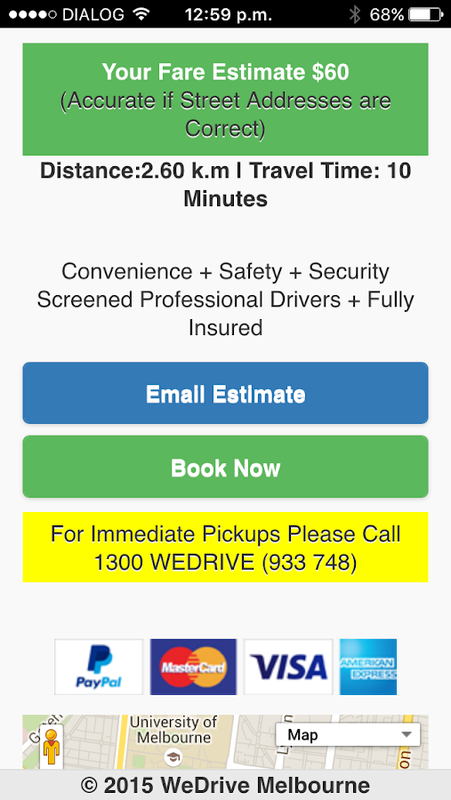 We Drive Melbourne is a free App enablesregistered users to obtain estimates, book and pay for designateddriver services in Melbourne, Victoria.For service bookings clients must register with We DriveMelbourne Pty Ltd., by verifying their mobile phone number andproviding a valid payment method. The service is cashless, andnominated card/ account will be charged for the fare.For support, please call We Drive Melbourne on 1300 933 748.